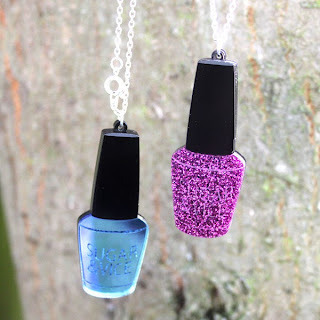 Sugar & Vice is a jewellery company based in Canterbury, Kent, providing you with a one-stop shop for statement pieces and personalised jewels. They pride themselves on friendly, polite service, quality products and speedy delivery. 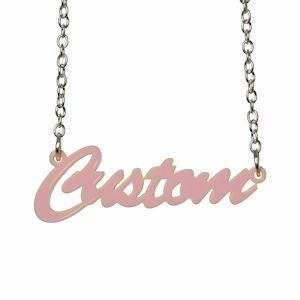 Products they stock are wide range of personalised and statement acrylic jewellery as well as vintage-inspired metal pieces. Anyone who knows me, will know I'm a totally freak about nail polish. I have totally fallen in love its this cute nail polish necklace. I'm going be ordering it the weekend when I decide which colour to order. Brummie mummy is hosting the giveaway and is not responsible for sending the prize to the winner, this is done directly from the company. The blog and it's owner accept no responsibility for any withdrawal or non receipt of the prize. Rafflecoper picks the winner and all steps of entry are checked. Entrants accept that their email addresses are required and will be sent to the company after the competition closes. The competition closes on the 31/08/2013. The winner will be notified within 48 hours and The company will be contacted thereafter to send the prize to it's recipient. The winner has 28 days from the date of contact from brummie mummy to respond with their address details, after which a new winner will be picked. For your chance to win this stunning necklace fill in the Rafflecopter below, Good Luck. My favourite item currently is the bubble blowing necklace, because I love playing bubbles in the garden with my rottie! I love the gingerbread earrings so cute! I love the lipstick necklace! The Animal Ears Rings are awesomeeeeeeeeeee! Too many to choose! Love the magpie earrings (2 for luck) Also autumn leaves and snowflake necklaces. These are fun, I like the Twit Twoo owl rings. The Art Deco Necklace is lovely. I liked the Union Jack Heart necklace. I love the Mirror Lightning Bolt Earrings. I like the Matryoshka Zip Hooded Sweatshirt. Like the love hearts bracelet!